A couple of years back, I fell head over heels in love with the book of Nehemiah. As I studied it out, I discovered so many life lessons that have impacted me deeply. For the past couple of weeks, I’ve grown to appreciate the book of Ezra in much the same way. Both books are those of restoration and rebuilding. They explore specific emotions like doubt, discouragement, and regret. And while the books hold many similarities, they each offer their own unique viewpoint. The book of Ezra showcases the rebuilding of the temple amidst great turmoil and opposition. In the first few chapters, we see the enemies of God’s people causing trouble (like the bullies they were) and hindering the Jews’ progress. But in the sixth chapter, everything changes. At the request of the governor and some of his minions, King Darius searches the historical records and finds that King Cyrus had made a decree concerning the temple. Not only did this scroll say the Jews could rebuild the temple and take back the precious things that had been stolen but also that the cost of the entire project would be paid for by the king’s treasury. Whoa! I would love to have seen the face of the governor and his goons when King Darius sent back word they were not to hinder the Jews any further. Not only that, he commanded they help them and provide for them, and the refusal to do so held weighty consequences. Just like that, the opposition turned from hindering to helping, which reminds me that God fights for His children. It doesn’t matter how significant the opposition is, God is all-powerful. 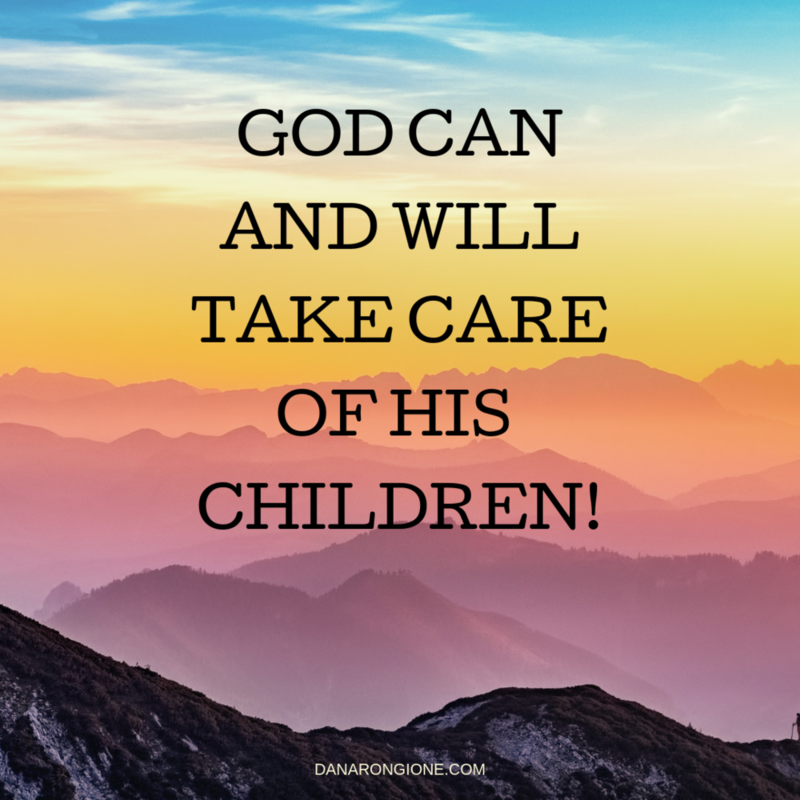 He can and will take care of His children. Sometimes He works through miraculous feats, and sometimes He uses the enemy to deliver help at just the right time. Either way, the message is the same—God’s got this! Today, I want to do something a little different again. I’d like to share with your our weekly mission update because it serves as not only an accounting of our mission efforts for the week but also of God’s faithfulness and goodness. If you’re facing a dark trial and wondering if God still cares, please read this! That quote is from one of my favorite songs and reminds me that when things seem the darkest, God is simply setting the stage for another miracle. So, allow me to set the scene. On Tuesday of last week, we had an unexpected expense of $100. Ouch, right? But nothing too big for our God. On Wednesday, I had a doctor’s appointment (always pricey) the insurance company didn’t cover. Double ouch! On Thursday, we took our Xterra into the shop, hoping its recent skipping was merely a spark plug issue or possibly the need for new wires. The plugs were fine, but the wires were shot, and so was the distributor. Seriously? All of this happened, I should mention, after Jason received one of the lowest paychecks I ever remember. Yes, the grand total of hours for the two-week paycheck was 38. When you’re used to having 40 hours each week and getting a check for 80 hours, getting one for 38 is a kick in the gut. As you can imagine, by the end of the week, we were (or at least, I was) growing a bit anxious and discouraged. Turn the page. . .
On Sunday, we had service with the precious people at Zion Hill Missionary Baptist Church in Marion, NC. The pastor graciously turned the entire morning service over to Jason (except the music, of course), giving him plenty of time to present our burden for Wales and to preach a moving message. Though Jason was intimidated by the size of the church and the amount of time he had to fill, he did a fabulous job and beautifully conveyed both our mission efforts and the lesson God had laid on his heart. When he turned the service over to the pastor, the pastor and church voted to take us on for monthly support. In the blink of an eye, we were that much closer to the mission field of Wales. We were speechless! As we headed out to have dinner with the pastor and his dear wife and grand-daughter after the morning service, Jason handed me the love offering he had been given. I opened the envelope to peek at the amount and nearly fell over. I couldn’t believe my eyes. I won’t give you the specifics, but I’ll tell you this much: the amount of money in that envelope more than covered all of the unexpected expenses of the week. That, my friends, is just like God! He had set the stage, and once again, He came through in a mighty and miraculous way. After lunch, we enjoyed some quiet time in the church parsonage and then made our way to the evening service. As in the morning worship, the singing (congregational, choir, and special) was out of this world. So much talent and all used for the glory of the Lord! That evening, a young man who is attending the Bible college at Zion Hill, preached a powerful message on trading in our best for lesser things. The entire day was a lovely time of spiritual food and Christian fellowship. It was such a blessing to be around such caring people and to—once again—feel welcomed and loved. Pastor Walker and his wife were a delight to be around and were such an encouragement to us. All in all, the day served as a beautiful reminder of how God takes care of His children! What a mighty God we serve! His love and compassion have no bounds, and He is faithful to the end. No matter how dark the valley may seem, turn the page. God has something unbelievable just around the bend. Is It Well With Your "Sole"? You all know by now that my adorable pup is far from perfect. The experts say a single dog year is equal to seven human years, which would make Barnabas somewhere in the mid-to-late teens. That sounds about right. He is the king of temper tantrums, and his favorite way to show his displeasure at not getting his way is to take all the blankets and pillows off the couch, through the doggie door, and out into the backyard where he rips them all to shreds. I’ve lost count of how many pillows and blankets have been the victim of just such an attack. During his most recent hissy fit, he discovered that I had put away all the pillows and blankets except for his ratty throw that has somehow survived multiple tantrums. I can’t say what happened next because we weren’t home, but my best guess is that in his effort to get the blanket off the couch and out the door, Jason’s new hiking boot (which happened to be sitting beside the sofa) got tangled in the blanket and made the journey outside. The reason I say this is that Barnabas has never, ever destroyed a shoe. Blankets? Yes. Pillows? Definitely. Every toy we’ve ever bought him? Sure. But never, ever a shoe. However, once the boot was outside, it seems the temptation of a new chew toy was too much for my moody mutt, and he ate through the entire back and the sole. To say we were upset when we discovered this misbehavior would be an understatement. Those were brand new boots. Jason had only worn them like three times. And they weren’t cheap either. I felt sick to my stomach when I surveyed the damage. Once again, Barnabas’ indestructible blanket had survived, but the same couldn’t be said for Jason’s shoe. The good news is that we caught Barnabas in the act of chewing on the shoe, so we were able to discipline him then and there. His remorse was evident as he tucked his tail and inched into the house where he crawled into his crate and pouted for a while. He could tell we weren’t happy with him, and part of me wanted to comfort him. But, I had to be strong and firm. He had to learn his lesson. My first reaction was a fleshly one. I wanted to pout like a scolded child who had just been reminded of her lousy attitude, but fortunately, the Spirit was at work in me as well. 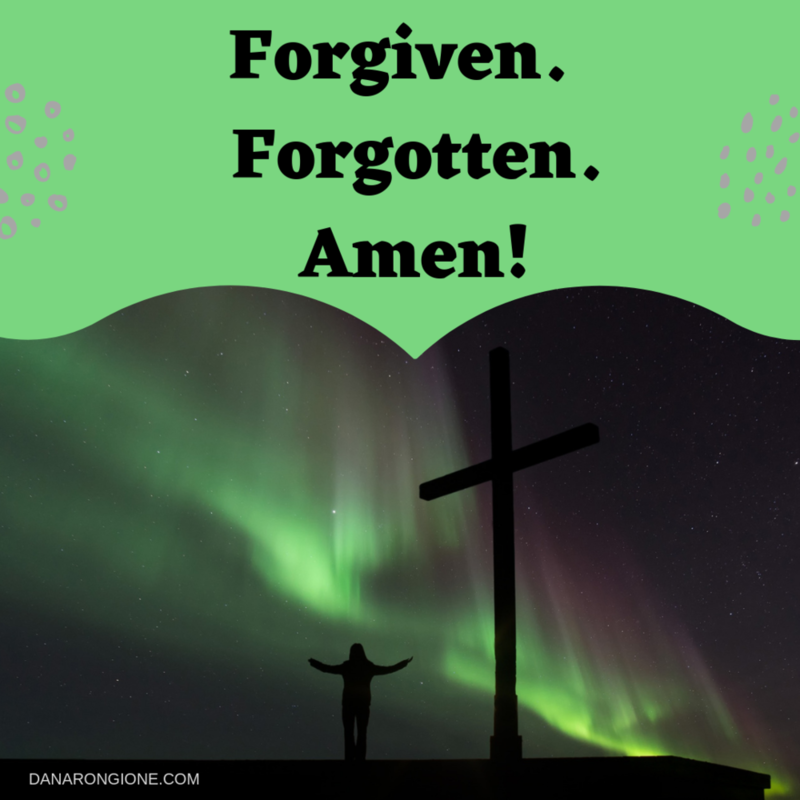 He brought to my mind the reminder that He, too, has forgiven and forgotten many wrongs. I’ve done horrible things in my life—things I’m not proud of—but God doesn’t remember them anymore. They’re under the blood of Jesus. Forgiven. Forgotten. Never to be brought up again. I don’t know about you, but I’m so grateful for that! What a blessing to know such grace. Today, it might not be well with Jason’s sole, but I’m glad I can say, “It is well with my soul!” What about you?